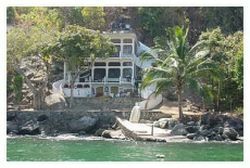 One of the best features of Puerto Vallarta Villas & private rentals is that you've got your own home away from home and in some cases with a few of the villas...a private beach. Do you ever wonder what brings flocks of tourists (foreign and national) to Puerto Vallarta each year? Could it be the beach with her polished rocks.. the smell of the ocean air, the wonderfully warm weather and the tasty strawberry daiquiris? Search the listings for your rental now. Yes.. it's all that.. but it's also the luxurious Puerto Vallarta villas! Are you dreaming of taking luxurious beach vacations and really relax in style, luxury and first class comfort? The biggest perk (in my opinion) of vacationing in Puerto Vallarta is that it's close to the big metropolis of Guadalajara. Perfect for a day or weekend trip.. so if you get bored of the beach..you know where to go. 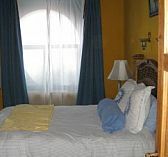 Puerto Vallarta Vacation Rentals- Which one is for you? 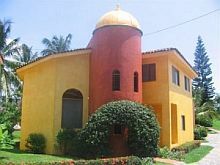 Puerto Vallarta villas range in size from large to extra large super mansions (for larger parties). So whichever you prefer to rent depends on your budget.. party size and what amenities you're looking for. Why choose Puerto Vallarta vacation rentals? I have this as my #1 because I love to eat. The advantage to renting a villa in Puerto Vallarta is you have all the conveniences of home, such as a working kitchen for one. It's especially helpful if you want romantic evenings alone .. but you don't want to be bothered with crowds that are so popular at this tourist hot spot. A kitchen is also great to help you save a few dollars as well. You can buy your groceries at the nearest store and have as many delicious meals at your rental as you'd like. One of the other perks you have is privacy. Some of the villas may have their own private pools, jacuzzis.. and outdoor decks to whale watch. And you have them all to yourself. Renting a hotel in Puerto Vallarta is fabulous (don't get me wrong) however, you have to share the facilities with crowds of people.. and sometimes it's just too much. Okay.. if you have a large party.. then renting a luxurious villa may be less expensive than you think! Yes.. it can be pricey if you are renting a 10 bedroom villa for just two people; however, if you have several couples then you can split the costs of the villa or rental between yourselves for an extra fantastic deal! Return to Puerto Vallarta "Things to do"